In what remains a de facto segregated Los Angeles Unified School District (LAUSD) 64 years after the Supreme Court case of Brown vs. Board of Education made desegregation the supposed law of the land by deciding in 1954 that "Separate but equal...is inherently unequal," LAUSD continues to systematically make no attempt to educate the vast majority of its 90% minority population, while continuing to teeter on the verge of bankruptcy caused by an incompetent and often openly corrupt administration. 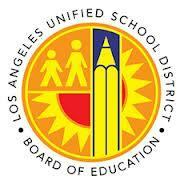 It still seems that no one at the local, state or federal level of government is willing to finally hold this endemically corrupt LAUSD organization responsible for its reckless and often criminal behavior towards its employees and students by finally stepping in and dismantling this completely dysfunctional LAUSD administration. Why dysfunctional? Because at LAUSD, the only way to have a career as either an administrator, teacher or other certificated or classified staff is to unquestioningly do whatever you are told, no matter how irrational it is both pedagogically and financially. In reviewing videos I made over 6 years ago for the present defense of my teaching credential, which California Teacher Credentialing is still trying to take from me 8 years after LAUSD fired me on trumped up charges of being a racist, because I was a whistle blower who reported the falsification of student grades and attendance, the fact that the statute of limitations has run and that I've already renewed my credential twice since being fired, seems to make no difference. The First Video shows how seniority and tenure have been ignored by LAUSD administration, when it targets high seniority teachers for the sole crime of being at the top of the salary scale. The Second Video shows how a top heavy LAUSD administration is clearly incapable of pragmatically learning from past mistakes, but rather continues following clearly failed directives, which makes it clear as to why LAUSD is on the verge of both academic and financial bankruptcy. The Third Video illustrates that when students are socially promoted grade after grade without mastery of prior grade-level standards. By the time they get to middle and high school, the very act of education understandably has become humiliating to them. So, they disrupt their classes and make it impossible for the teacher to teach and other students to learn. Any wonder why 50% of teachers quit LAUSD within 5 years? The Fourth Video explains how LAUSD's assault and removal of older and more expensive teachers could not take place without the complicity of the teachers' union United Teachers of Los Angeles, which has power under the LAUSD-UTLA Collective Bargaining Agreement to bring one unified action against LAUSD on behalf of these teachers- something it refuses to do, while claiming that once LAUSD fires a teacher- for any reason- they are no longer members of the union. Could this have anything to do with UTLA President Alex Caputo-Pearl being given release time with the 7 other UTLA officers by then LAUSD Superintendent John Deasy to campaign during school hours? The Fifth Video goes into how LAUSD was so busy fraudulently targeting top-of-the-salary-scale teachers in a desperate attempt to avoid bankruptcy, that it failed to take timely action against teacher Mark Berndt, who was left to commit outrageous sexual acts against his students for 18 years. Even after LAUSD found out, they still offerred him money to quit. The Next Video lays out how teachers at the top of the salary scale, or merely trying to give minority students the best possible education, are hit with morals charges under California Education Code Section 44939 without any civil rights or collective bargaining agreement, grievance, or independent arbitration in an action that presupposes they are guilty. As in these cases and many others, this means that a targeted teacher is often put in a "reassignment center" for years, before any formal legal action against them is taken. Due process? The next video on The Privatization of Public Education lays out how the multi-billion dollar a year public education "business" is in the process of being privatized for the dual purpose of dumbing down American society by pushing predominantly minority students through school without a basic education and so that for profit corporations will be able to take as much as 35% of this total public education budget to line the pockets of corporate public school vendors, which systematically overcharge for all goods and services they supply. The Seventh Video explains how illusory new graduation requirements have further degraded the academic standards necessary to be mastered by students to the point that the high school diplomas they are given are literally not worth the paper they are written on. So why is it that 60-70% of LAUSD high school graduates can't pass the community college placement examination, when what this exam is testing is subsumed under what they should have mastered to get a high school diploma? The Eighth Video lays out how the systematic dumbing down of what remains de facto segregated and purposefully inferior public education at LAUSD, and public school districts like it around the country, is the best explanation as to why racism hasn't finally been overcome in this country, since only African American and Latino children are premeditately deprived of a good and comprehensive public education that in the past was the greatest factor in effectively integrating other ethnicities into being fully integrated and productive Americans. Purposefully failed public education is undoubtedly the greatest factor as to why African American and Latino children still do not live up to their potential. And finally, the LAST VIDEO sums up much of what the other videos deal with and explains how all the pieces involved in the destruction and privatization of public education fit together. Please make comments below as to what your experience has been and be sure to share it with your friends, who probably remain completely unaware of what is going on in public education, because of this story's purposeful exclusion from commerical and public media. When my daughter was 6 years old, there was this crazy lady named, Tamara, that ran some program called share n care at my daughter’s school. This school was Rosewood Avenue Elementary School in West Hollywood, which is part of LAUSD. This Tamara woman pulled me aside one day, and said that shes taking my daughter away from me. She told me that she is social services and I must listen, mind you without any report or reason. She said that I must listen to her or she will call social services and make a report. She said you don’t want them in your life they will be in your life forever you do not want them in your life so that I better listen to her. She again reiterated that she is social services. This was all done in the principals office, Front of the principal Jana Chapman. I was scared at first but then realized there is no reason and no investigation to take my child away. I then called this Tamra‘s supervisor at social services. He told me that she works there but she just answers phones, she is not a social worker. He told me that she has no authority or business to remove any child from any home or even conduct an investigation at that. He says he doesn’t know what this share n care program is. The principal, Janet Chapman, if Rosewood Avenue Elementary School was actually siding and covering for this fraud, that is until she got caught. I probably should’ve went to the police and reported this fraud as well as the slimy principal who went along with it, but was just so glad the whole thing was over I let it go. But this still haunts me 16 years later. Imagine who else they’ve done this to as the majority of LAUSD are minorities or children of illegal immigrants that don’t know their rights. Thank God this fraud got caught but imagine what other criminal, disgusting, unethical behavior is going on there. I’ve had problems at my daughters other schools as well, which I caught them too. The same school tried to dumb down my daughter, failed her throughout her school years, and tried to put her in special education when she was very very smart. This affected her self-esteem throughout her childhood but luckily I was there to reiterate how smart she really was. They even try to say she had a learning disability but they couldn’t say what. Unfortunately I couldn’t afford private school and had no choice but to send her there. Once I got her out of that dirty school system she got straight A’s, she’s in college and on the honor roll, as well as the deans list two years in a row and well above average. She receives letters every semester telling her so. Boy, am I glad I didn’t listen to that corrupt school system. But I just feel bad for other parents and kids that did. I strongly urge parents who have kids in LAUSD to watch out and if something doesn’t seem right question it and go to an attorney. Don’t try to settle it with them because they’re all going to cover for each other no matter how wrong. These people don’t know right from wrong all they know how to do is play dirty and screw people.